One subject that seems to confuse so many shooters is what exactly the inside of a barrel does. 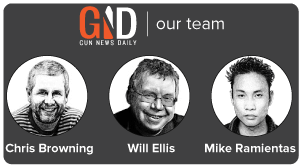 One subject in this category of topics is one of the most misunderstood factors in shooting. It revolves around the rifling inside your barrel. Not so much just the rifling, but the internal twist rate. The twist rate of your rifle will tell you a lot about what the gun is for and how it will perform. Mostly what it tells you is what’s the best ammo to use with your gun. Today we are going to talk about how you match bullet weights to barrel twists and walk away with a reliable, accurate and hard-hitting rifle. We are going to leave pistols out today because most folks are out long range shooting with pistols. Today is all about rifles. 1 What are Twist Rates exactly? 3 How do I find my twist rate? 4 What Happens if I don’t Match Twist Rate to Bullets? What are Twist Rates exactly? Before you can really understand what twist rates are you have to understand what’s going on inside your barrel. A rifle is rifled, that’s why we call them rifles. Rifling was the most significant discovery in the firearms world since gun powder. Prior to rifled bores we had smooth bore muskets. These guns were quite inaccurate and hitting a man-sized target at 100 yards was a real challenge. Rifling changed all that. It changed the firearms industry, the face of war, and even help shape nations. 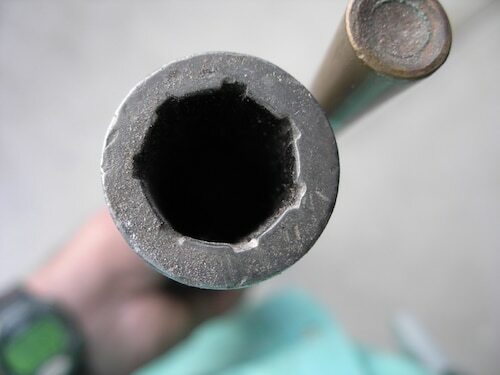 Simply put rifling is a series of lands grooves inside you barrel that causes a projectile to stabilize. A projectile that’s not stabilized is likely to divert from a straight path, or even yaw. Yawing is when the bullet is essentially flipping through the air. The effect is a highly inaccurate and hard to shoot weapon. There is a reason why colonial soldiers fired in volleys, it was the only way they could hit something. What basically happens in an unrifled barrel is when the round is fired its attempting to pierce through the air. The air can press down or push up on a projectile causing it to tumble and yaw. Rifling causes it to spiral, which allows it to cut through the air. This results in round keyholing in targets. 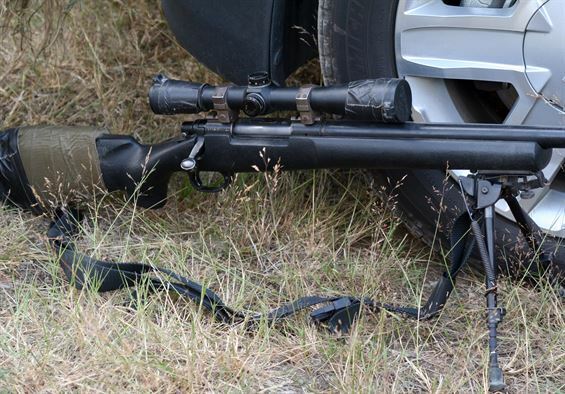 For hunting and self-defense, it results in reduced penetration and a loss of effective range. Rifling spins the bullet, rotates it and allows it to stabilize. Imagine the bullet is a football. The rifling is the quarterback. When the bullet/football is thrown properly it spirals beautifully. That’s rifling in a nutshell. Without it we’d be lost. Your rifling has a twist rate to it that represented by a series of numbers. Commonly it’s expressed like this, 1:9 or 1 in 9 inches. The numbers are important and not universal, I’m just using 1 in 9 as an example. So, what exactly do these numbers mean? It means that the bullet you are firing will spin 1 time every nine inches. The lower the number the faster the twist rate. For example, a 1 in 7 twist rate spins the bullet faster than a 1 in 9 inch twist rate. A twist rate is basically a measure of how fast the bullet will spin. Different bullets utilize different twist rates to maximize stability and accuracy. There are a wide variety of factors that determine twist rates. There is no one rule to rule them all when it comes to choosing twist rates. There are some many factors to consider it can get confusing. 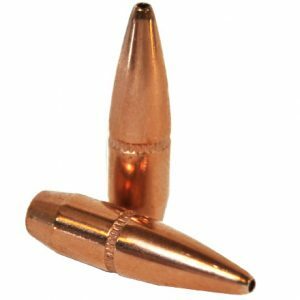 The closest thing you have to a golden rule is that heavier bullets require a faster twist rate. However, this isn’t necessarily always true. It’s not exactly how heavy a bullet is, but how long it is. 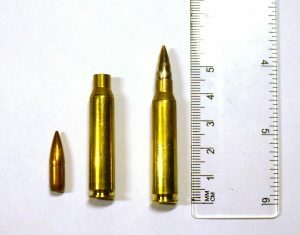 The weight factor comes into play and is mentioned so often because heavier bullets tend to be longer bullets. Factors including altitude can even affect the rotation of a projectile. Air density can be factor, and likely a dozen other weather conditions you can’t control. For most shooters these factors will never be an issue. If you aren’t shooting in distances measured in miles, it’s unlikely you’ll need to worry about these. It’s easy to understand why rifling is important but why do we need to dive into something as specific as twist rate? 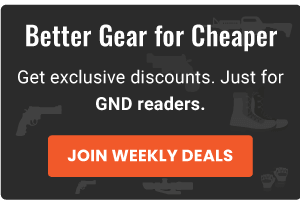 Well with firearms and calibers that offer a wide variety of different rounds you really want to match projectile length and weight to a twist rate to achieve your desired results. A lot us choose a specific barrel length, caliber, and bullet weight to accomplish a certain goal. If I was building a short-barreled rifle or AR pistol in 5.56 and I wanted to maximize ballistic potential, I’d go with a heavier round. Preferably something like a 77 grain Nosler. To stabilize this round enough to make it accurate and to squeeze the most potential out of it I’d want to pair it with a nice fast twist rate. I’d personally go with a 1 in 8, but a 1 in 7 would work well too. Let’s say I wanted a gun I could shoot on the cheap, I’d likely be hitting the range with a lot of cheap 55 and 62 grain ammo. I still want to shoot straight so I’d probably pair it with a 1 in 9-inch twist rate. The twist rate is one of those factors you have to consider when you are choosing the purpose of your rifle. How do I find my twist rate? If you already own a rifle and are confused by its twist rate there are a number of ways to find out. With some calibers you’ll only really have one twist rate available. 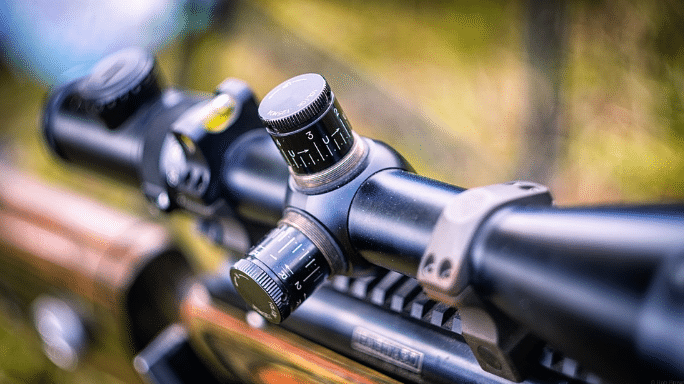 With precision rifles and rifles like the AR 15 twist rate is important to know. The first place to check is the barrel. Most companies will engrave a twist rate near the caliber markings on a barrel. This results in an easy to find twist rate. Other guns may not include it on their guns, but will almost always include it in the manual. Let’s say your guns old, and you can’t find it on the gun, you don’t have the manual, and are just lost. So, the last chance you have is the internet. Lucky for you, websites like ours exist to give you that information so take the google route. What Happens if I don’t Match Twist Rate to Bullets? So, what happens if we start shooting heavy bullets from a slow twist rate? Or a fast bullet from a fast twist rate? A lot of effects are ones you’d come to expect. You are going to lose accuracy, especially when it comes to long range shooting. You won’t run into anything dangerous in terms of damage to your gun. It’s not going to explode, and even malfunction if twist rates and projectiles are mismatched. The worst-case scenario is what happens when a light bullet is being spun way too fast. It’s not something you’ll see very often, but can happen. What happens is you need a fast twist rate, a light bullet, and preferably one with a copper jacket over a lead core. After you fire the bullets begins spinning so fast that it can actually rip the jacket off the care of the round. The copper will tear to pieces, the round will yaw and be a teeny tiny shotgun. This is the absolute worst-case scenario. There is a lot of fiction out there regarding what twist rates do. We wanted to dispel a few of those here. Twist Rates Improve Accuracy – Yes and no. A gun with ammo matched to the twist rate is going to be inherently more accurate. There isn’t a magic twist rate to make your gun more accurate. It’s a lot cheaper to buy ammo to match your twist than to rebarrel your gun. Twist Rates Increase Range – Again this is a yes and no answer. It’s not that simple. A 55 grain round simply isn’t going to perform at long range as good as a 77-grain round will. Changing the twist isn’t going to change your overall effective range. You’ll need to change ammo, barrel, possibly barrel length, and of course know how to shoot. Twist Rates Extend Barrel life – I have no idea where this one came from but it’s simply not true. There are tons of factors that affect barrel life, but twist rate isn’t one of them. Matching your barrel twist rate to your chosen projectile is going to make a big difference is your shooting potential. Before you buy your ammunition, you need to check your barrel’s twist and buy appropriately. It’s easy to get wrapped up in twist rates and ammunition weights but as long as you remember to consult the right sources you’ll be good to go regardless. Berger Bullets has a twist rate calculator that’s perfect for those hard to make decisions. Regardless, always do a bit of research. Since you’re here we know you’re willing to research, just do a bit more for your chosen gun and round.